Blue Sky BuildersSkywriters Garage BlogGarage MaintenanceWhich Garage Roofing Material Is Right for Your Garage? Which Garage Roofing Material Is Right for Your Garage? 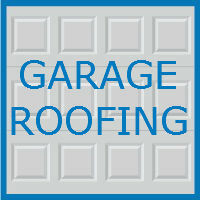 The roof is a major part of any garage building or remodeling project. With the wide variety of roofing materials available today, choosing one can be difficult. You need a material that matches the aesthetic of your garage, will protect your garage’s contents, and one that will work well in your local climate. Different materials have different costs associated with them. Some are more expensive to install; others are cheaper but may require additional maintenance down the road. To help you choose, here are a few roofing materials often chosen for garages, and some benefits and drawbacks associated with each of them. Asphalt shingles are a popular choice for roofing. In fact, these types of shingles are the most commonly used residential roofing materials today in the United States. Asphalt shingles are available in a wide variety of colors, and are lightweight, meaning they will not add excessive strain to your roof. For those in rainier climates, asphalt shingles can be beneficial, as they do not easily absorb water, making them also safe from frost damage. A major disadvantage of asphalt shingles is their ability to absorb heat, meaning they can boost temperatures in your garage all summer long. If you spend a lot of time in your garage, you may find an air conditioner is necessary with asphalt shingles, another cost to keep in mind. Lighter colors of shingles can help keep temperatures down. Asphalt shingles typically have a 15 to 20 year lifespan, but excessive heat can cause damage that may make it necessary to replace sooner. Like asphalt shingles, slate comes in a variety of colors, sizes, and shapes, allowing it to fit in a with a variety of different garage styles. Slate has a lengthy lifespan (it commonly outlives the material it is laid upon) and requires little maintenance. It is not prone to rot or insect damage, and offers protection for your garage against fire. Slate can add a natural beauty to your garage, but it comes at a cost. Slate is quite a bit more expensive than shingles and other building materials. Additionally, it is a heavy material. Consult your contractor to ensure your garage can handle the extra weight before choosing slate. Slate is also breakable, and can be easily harmed if walked upon. This can make tasks like gutter cleaning a bit difficult. Wooden shingles can add a nice natural look to your structure, and are also environmentally conscious. This material allows air to flow naturally throughout your garage. Wood is susceptible to insect damage, mold, and rot, so wooden shingles must be properly maintained. Wood is also flammable, although some wooden shingles do come treated in fire retardant. Wood shingles are budget friendly, but are more difficult to install than asphalt shingles, so hiring a professional will likely be necessary. Wood shingles last upwards of 50 years, but maintenance is key to ensure a long lifespan. Concrete tiles are a newer roofing material with many benefits. They last a long time, require very little maintenance, and are weather resistant. Concrete tiles can be made to look like other roofing materials, like shingles or wood, but do not have the same disadvantages of the material they mimic. Concrete tiles are lightweight, and can even be made to mimic heavier slate or clay tiles. One downside is that concrete tiles are typically expensive than other roofing options. Metal roofing is a durable, fire retardant material that requires very little maintenance. Metal roofs are energy efficient and do not absorb heat, meaning they can help you save on your power bill. Like concrete, metal roofing is expensive, one of its major drawbacks, but some homeowners may find the savings on their energy bill more than pay for the costly material. 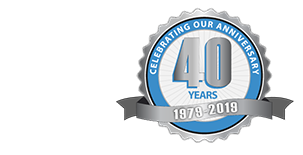 The team at Blue Sky Builders is here to help with every stage of your garage building or remodeling project. Call us at 630-852-8485 and let our garage specialists help you determine which garage roofing material is right for you. Listed above are only a few common options. Our team can help you find a perfect fit for your budget and needs.